Are you a new mom? We are all new moms at some time in our lives. Being a new mom means learning everything about your baby, including how to play with your newborn and stimulate baby's developing brain. While experts believe that infancy is a pivotal opportunity to begin teaching your baby through play, how do you entertain your newborn? Your newborn can be entertained early on through play and interaction. It’s fun, it creates memories, and it’s easy. Entertaining your baby can be one of the most rewarding things you can do. Infants are easy to entertain, they don't need toys, they just need time. In early infancy, interactive play stimulates your baby's brain. Interactive play includes singing, baby talk that your infant can imitate, sticking out your tongue or blinking your eyes. Allow your baby mirror time, so he/she can look at a self-reflection. Babies can also differentiate between faces. Put the mirror next to your own face so baby can look back and forth and distinguish the faces as being different. Learn when your baby wants to play and when to leave her alone. If your baby is awake and fussing, it is not the best time to play. However, it may be the best time to learn the signs that your baby needs something or is overstimulated. A good time to play is when your baby is awake, quiet, and attentive. If you play at these times, your baby will be more focused on you and more responsive to your interactions. Is it Good to Play with a Preemie? Your preemie may be in the NICU (neonatal intensive care unit), but that doesn’t mean you can’t play with your baby. Playing with your baby in the NICU creates a meaningful bond between you and baby that is important for your baby's development. Your premature baby will interact with you using his/her face, arms, and legs rather than cooing. Your premature baby should start with only a few minutes of play, and with the stimulation of only one sense. For instance, singing or talking to your baby stimulates baby's hearing. Singing is an excellent play to start with because preemies often don't have developed eyesight or may become stressed with visual stimulus. Give your baby a massage or doing kangaroo care, which is skin on skin cuddle time, is also a great way to play with your preemie in the NICU. When your baby is one month old, interaction becomes even more fun. At one month old, babies make more eye contact. They also can imitate facial gestures which help them develop muscles that they need to learn to talk. The one-month earmark is also a good time to introduce toys to your baby. Snuggle toys are good for the baby because soft toys feel good on baby's skin and helps your baby to develop empathy. Furthermore, preferred snuggle toys can help your baby to feel secure. Reading a book enables your baby to hear your voice. Although your baby is too young to learn to read, it also encourages the “language” part of the brain to activate. Perhaps read a book during “tummy time,” after your baby’s belly button has healed. This keeps you attentive to your baby’s tummy time safety while your baby is attentive to your voice. Mobiles are great ways to entertain your baby while encouraging vision and eye develop by providing bright and colorful things to look at. When your baby is in the rocker, swing, or bouncy chair wind up the music or turn on the mobile, so your baby is entertained with toys and activities that will stimulate the brain. Be your baby's first playground. While your baby isn't old enough to do active play or go to the playground, physical interaction is essential. As an infant, start with massages, tickling, and moving your baby's arms and legs. As your baby is able to sit up, be your baby's first swing. As your baby reaches full mobility, allow your little one to crawl around and over you. All of these activities encourage baby's motor skills. It's important to remember that your baby wants to play with you. You are the most important person in the world to your little one. Playtime with your baby is an opportunity to create a bond that will stay with you and your child for a lifetime. 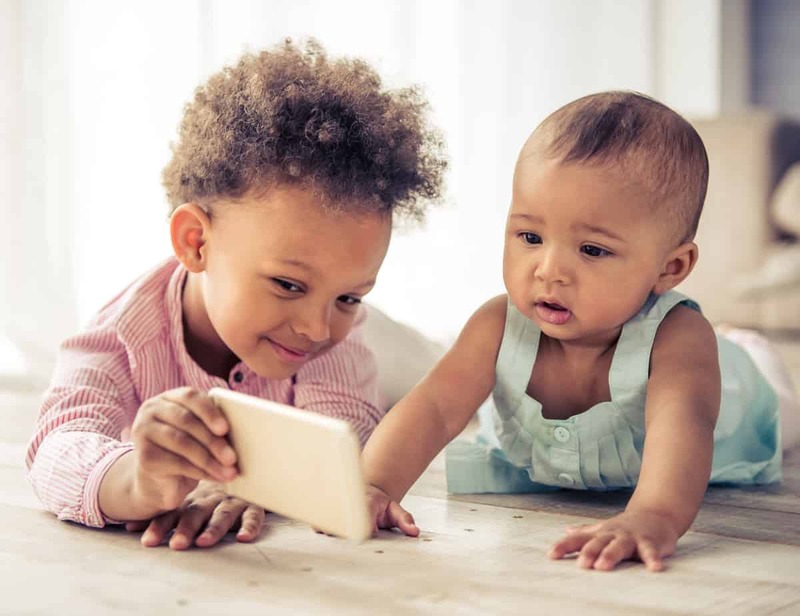 As you watch your little one grow, and someday when your little one is celebrating high school graduation, you will be able to look back at the photos and videos of you and your baby at play. Your memories are priceless. Make memories with your baby and have fun when you play.